Love long, luxurious baths? 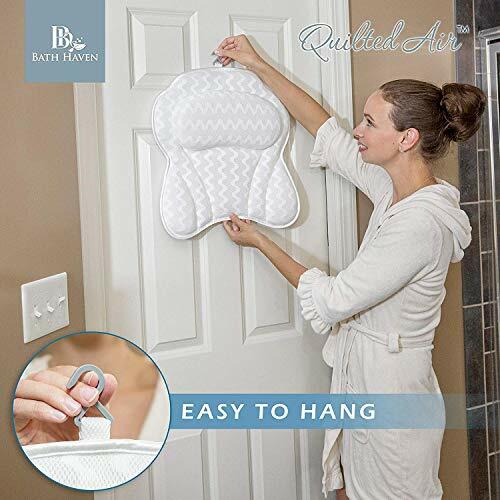 Now you can enjoy them in spa-like comfort… without getting a sore neck or back. 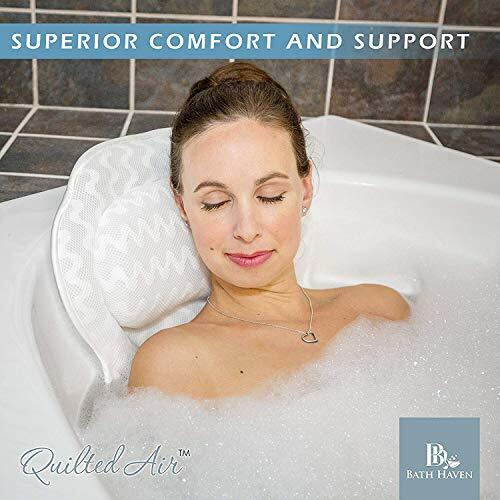 Simply sink into this sumptuous spa pillow by Bath Haven. 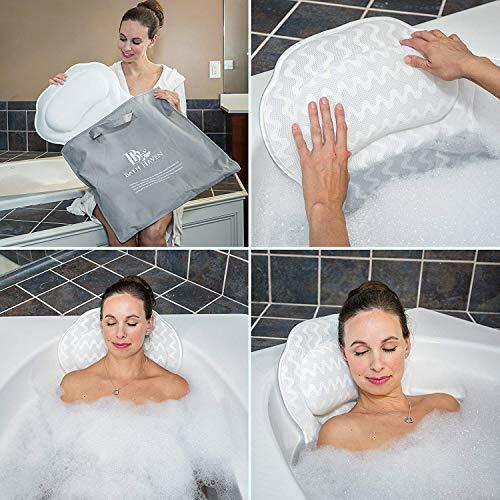 Unlike most bathtub pillows, it completely envelops your head, neck, and shoulders… so you enjoy ergonomic support all the way around. It all adds up to bath-time bliss. So, go ahead. 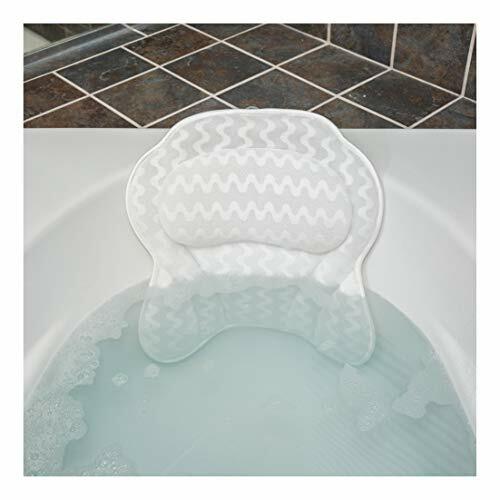 Lie back & relax in that long, leisurely bath. Pamper yourself. You deserve it. Plus, be sure to stock up for all the spa-loving folks on your gift list. 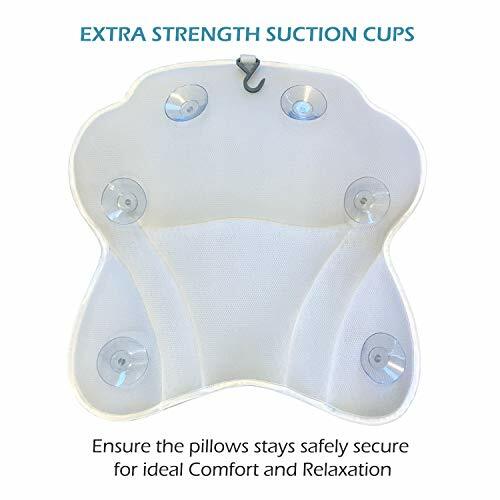 Cloud of Softness: Unlike skimpier cushions, this sumptuous spa pillow envelops your head, neck & shoulders in blissful comfort., Relief for Pressure Points: Premium “wave-pattern” stitching provides strategic support for sensitive joints & muscles. 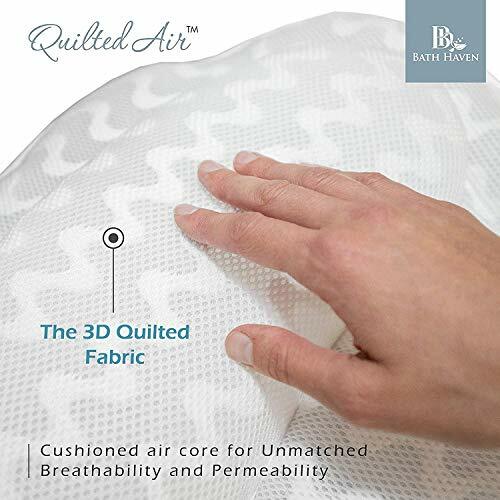 Helps prevent aches & soreness., AirMesh Technology: With its 3D ventilation, your breathable bath pillow allows constant, refreshing airflow. 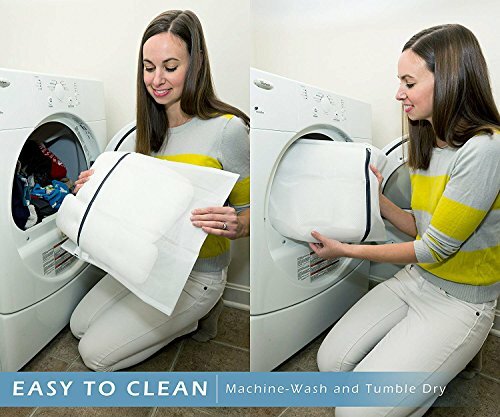 Dries fast; won’t get hot & soggy., Stays Put Securely: No more slipping & sliding. 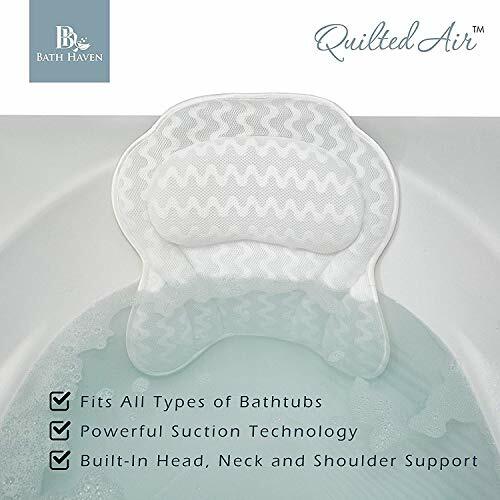 6 extra-strong suction cups keep your Bath Haven pillow firmly fixed to the back of your tub., Blissful Bath Guarantee: Not blissfully happy with your luxurious tub pillow? Return it anytime & we’ll gladly refund every penny.